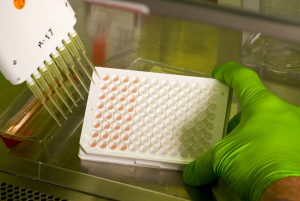 Our testing, functional profiling, is a laboratory technique that measures how cancer cells respond when they are exposed to drugs and drug combinations. We have survival curves comparing the survival of patients who tested sensitive to the agents they received, compared with those who were found resistant to the treatments that they received. Dr. Nagourney, his team and colleagues have published a number of papers supporting the use of our functional profiling assay, as well as the effectiveness of new drugs and combinations. Cancers arise from cells that have learned certain tricks to enhance their survival so they can outlive their normal counterparts. These transformed (cancerous) cells interact directly with their micro-environment. Cancer cells "talk" to each other and to all the surrounding cells using chemical signals like growth factors and byproducts of metabolism. Blood vessels, immune cells and connective tissues (stroma) all participate and contribute to the cancer process. This is why it is absolutely essential to test cancers in their own natural clusters known as "microspheroids". We isolate these three-dimensional structures directly from each patient's cancer specimen to test drugs and combinations. These microspheroids represent cohesive populations that interact directly with stroma, vasculature, inflammatory cells, and other tumor cells. Thus, the microspheroid recapitulates the human tumor environment. By applying cell death endpoints (the most rigorous of predictive measures) to these microspheroids, we have overcome pitfalls encountered by earlier technologies. Put simply, it is a real-time measure of which drugs cause your cancer cells to die, through a process called programmed cell death. By using this approach, we try to determine in the laboratory the best drugs for each patient before they receive them. Comparing the survival of patients who tested sensitive to the agents they received, compared with those who were found resistant to the treatments that they received. Papers supporting the use of the Ex-Vivo Analysis of Programmed Cell Death functional profiling assay, as well as effectiveness of new drugs and combinations. A representation of predicted clinical outcomes for patients treated with agents found active in the laboratory using the EVA-PCD functional profile. What if you could receive specific information on how your patient’s cancer cells will react to single agents, combinations or targeted therapies? Well there is a way through functional profiling.